THE B-MOVIE NEWS VAULT: The Early Adventures of Carl Kolchak Are Coming to Blu-ray on October 2nd! The Early Adventures of Carl Kolchak Are Coming to Blu-ray on October 2nd! KINO LORBER STUDIO CLASSICS BRINGS "THE NIGHT STALKER" AND "THE NIGHT STRANGLER" TO BLU-RAY WITH NEW 4K TRANSFERS AND EXTRAS! I was pretty late to the game with Kolchak: The Night Stalker Vault Dwellers, but I instantly fell in love with this classic (but sadly short-lived) TV series after catching an episode on the OLD Sci-Fi (not SyFy) Channel back in the day. The episode was titled Chopper (Episode 15 of Season 1) and featured a headless motorcyclist seeking vengeance from the grave! I wouldn't reacquaint myself with Kolchak until decades later when I was in my early twenties. At the time I was a devout collector of MGM Midnight Movies, and I picked up the double-feature release of THE NIGHT STALKER and THE NIGHT STRANGLER! Then the following year, I immediately purchased the complete series on DVD and marathoned the films and episodes throughout the course of a few days - I had Kolchak fever! And now the TV films that started it all are coming to Blu-ray, fully restored (in 4K!) and packed with special features! If you're a Kolchak fan, a.) you have great taste and b.) 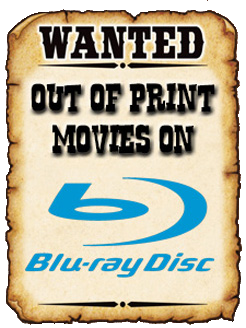 YOU NEED THESE BLU-RAYS IN YOUR COLLECTION! 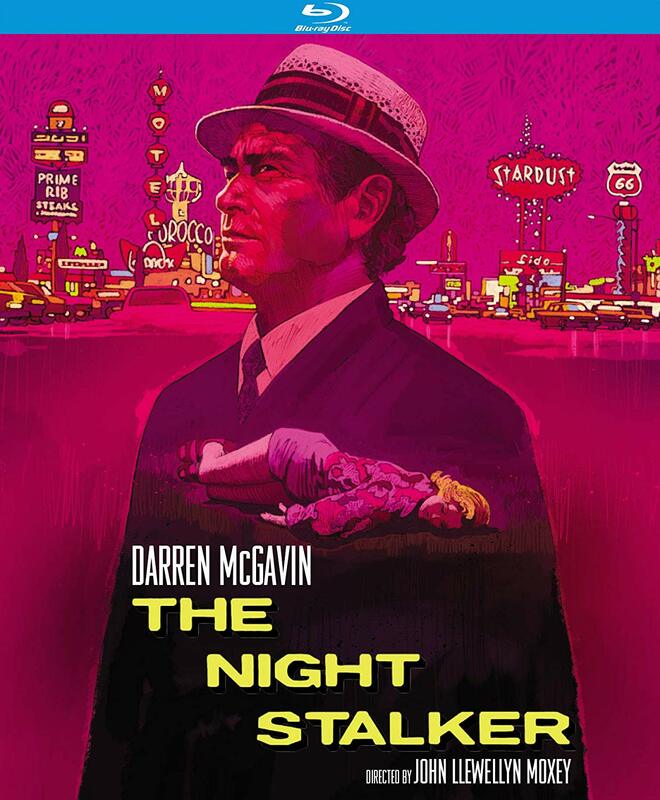 Synopsis: After several high-profile newspapers fire him for his difficult attitude, investigative journalist Carl Kolchak (Darren McGavin - A CHRISTMAS STORY), finds a job following the police beat for a small Las Vegas publication. When Carl discovers a series of dead showgirls drained of blood with bite marks on their necks, the police hesitate to take the case any further, and his boss wants nothing to do with the story, leading Carl to believe there may be a real vampire prowling the city streets. Also starring, Carol Lynley (THE POSEIDON ADVENTURE), Simon Oakland (PSYCHO), Ralph Meeker (THE FOOD OF THE GODS, WITHOUT WARNING), and Claude Akins (TENTACLES, THE CURSE). The power of Kolchak compels you... to buy this Blu-ray! NEW! Interview with Director John Llewellyn Moxey! NEW! Interview with Composer Bob Cobert! Limited Edition Booklet essay by Film critic and author Simon Abrams! Newly Commissioned Art by Sean Phillips! THE NIGHT STALKER will be in stock at all your favorite retailers on Tuesday, October 2nd, and should cost you between $18 - $20. Order yourself a copy now from AMAZON, BULLMOOSE, or DIABOLIK DVD! Synopsis: Supernatural phenomena, baffling murders and offbeat humor mark this second Night Stalker offering with a great cast and suspense so palpable, it'll feel like a presence right there in the room with you. 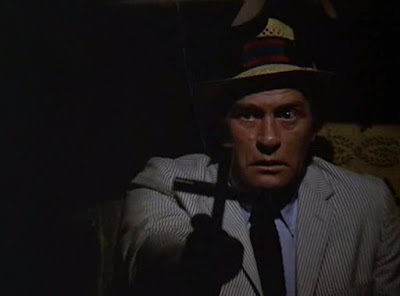 Surfacing in Seattle, Kolchak (Darren McGavin) uncovers another maddening mystery: Every 21 years - for the past century - a serial killer commits a spree of murders, drains his victims' blood and then quietly disappears. But Kolchak is on to this monster and is about to discover a shocking underground lair... an army of rotting corpses... and the ageless madman behind it all. The great Dan Curtis (BURNT OFFERINGS) produced and directed this highly-rated TV movie written by legendary sci-fi/horror writer Richard Matheson (I Am Legend). "Directing 'The Night Strangler'" Featurette! 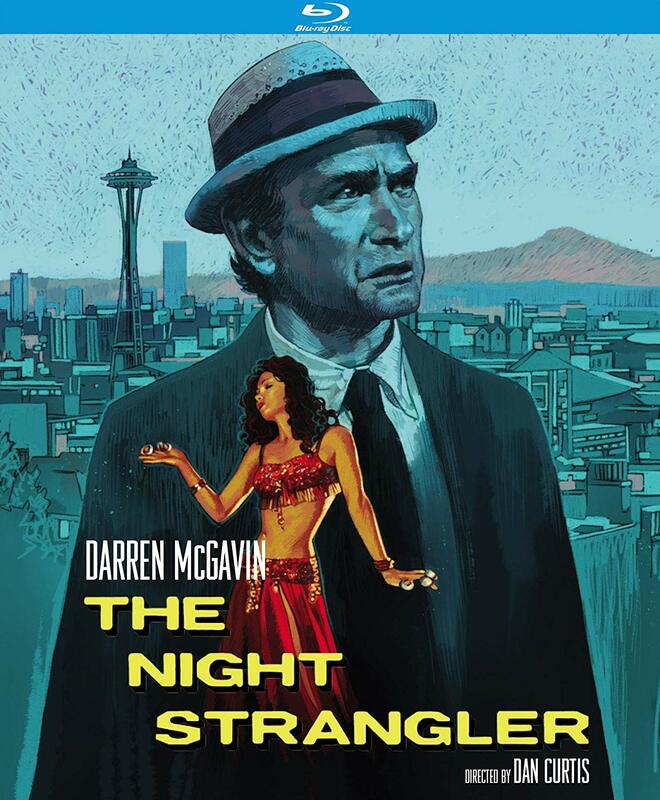 THE NIGHT STRANGLER will be available the same day as its predecessor and should cost approximately $20. Order your copy now from AMAZON, BULLMOOSE, or DIABOLIK DVD!